Real estate prices in the Chinese border city of Dandong are recovering following key summits between Kim Jong Un and Chinese, South Korean leaders. A source in Dandong told Radio Free Asia the recovery comes after the market had stayed "frozen" as relations deteriorated between Beijing and Pyongyang. 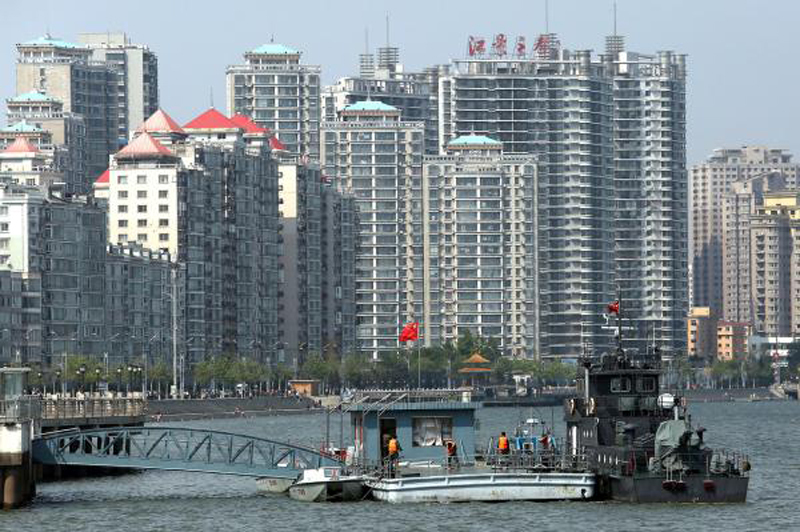 "Recently the new real estate markets in Dandong have recovered their vitality," the source said. The market began to show signs of bouncing back following Kim's visit to China. Real estate prices had lost momentum owing to a suspension of construction and a delay in opening the new Yalu River Bridge. The bridge was the center of friction in 2017, when North Korea demanded China cover more costs of construction. Prices of residential apartments and commercial spaces are rising in anticipation of new reform announcements, the source added. Market movements in Dandong are also responding to the latest outcome of the inter-Korea summit, which has been hailed a success in both Koreas. "If North-South relations are good, then China-North Korea relations improve as well," the source said. RFA's source added the entire economy of the Dandong area will "gain wings" if the U.S.-North Korea summit is successful. In Hunchun, another border city facing North Korea, local residents may be welcoming news of eased tensions, South Korea's Sisa Journal reported Tuesday. The area has about 220,000 people of Korean, Chinese and Manchurian ancestry, according to the report. Locals told Sisa they hoped North Korea would cease its weapons tests because of their disruptive impact on their communities.